Drench your entire body in a delicious and performing tropical mixture of exfoliating pineapple and hydrating mango! The perfect solution to quench the skin with amazing softening ingredients. This treatment begins with a sugar scrub for an extra boost! It's head-to-toe smooth Island luxury!! 1HR. Spa packages, retail products, promotional services, specials or registered massage therapist services cannot be redeemed with WaySpa gift cards. All prices displayed in Canadian currency. Taxes extra. Prices and services subject to change. 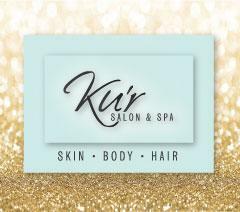 Way spa/spa finder gift cards cannot be combined with any promotion or Kur gift cards. Valid for hair and Esthetic services only. Limit $200 per person maximum usage a month. Cannot be used for any medical services such as botox , filler, laser hair removal , or registered massage therapy.